Whether you plan to travel across the state or across the globe, this issue is packed with ideas! Looking for an adventure of a lifetime? In this issue we introduce you to Bend’s own Tofino Expeditions, which offers guided sea kayaking tours in exotic destinations all over the world, all packed with local cultural experiences. traveled towns of Brookings-Harbor, Port Orford or Charleston, all featured inside. If hitting the road for summer festivals is more your style, look inside for a guide to upcoming music, theatre and art events that make for great family fun. Or, if your favorite journey is more along the lines of spending quiet time with nature, be sure to read our feature on the art of fly fishing. For the best on travel gear, check out Local’s Choice for all the latest travel essentials to make your trip easier. Visit our website at BendLifestylePubs.com and our Facebook page at Facebook.com/Bend-Lifestyle. We welcome your feedback and ideas. 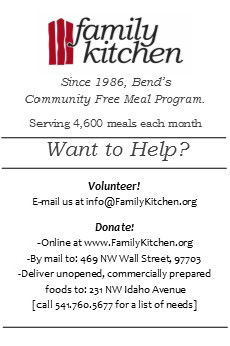 As always, we encourage you to support the local businesses who advertise with us and make Bend Lifestyle possible.